Are you considering contacting Alberta Learning to apply for a teacher exchange position overseas? If you do go, be advised that you will experience one of four “ATE’s” while either on exchange or immediately upon returning to Canada. You may (i) “RelocATE” because your one year of living aboard has encouraged you to go live your dream; (ii) “RenovATE” because your accommodation while on exchange has provided you with inspiration to remodel your home; (iii) “SeparATE” as you recognize that the one year exchange program was an ill-fated attempt at saving your marriage or relationship; and finally (iv) “ProcreATE” because that is what many young couples tend to do when they are happy with their lot in life. 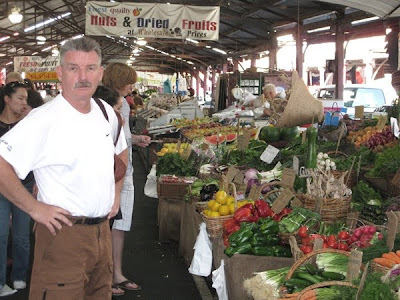 I am a Foods Teacher currently on exchange with my husband in South Australia. We feel that there is a fifth “ATE” that former exchangees have neglected to identify for us. This is the experience of trying different, wonderfully delicious, and unusual foods. While on exchange, we have certainly ate and ate and ate! One of the things that we have learned on our exchange is that, on average, our South Australian friends are much more knowledgeable about wines and foods than our Canadian friends. Throughout the year, South Australians have the pleasure of being able to harvest a variety of locally grown fruits and nuts (even in their back yards!) 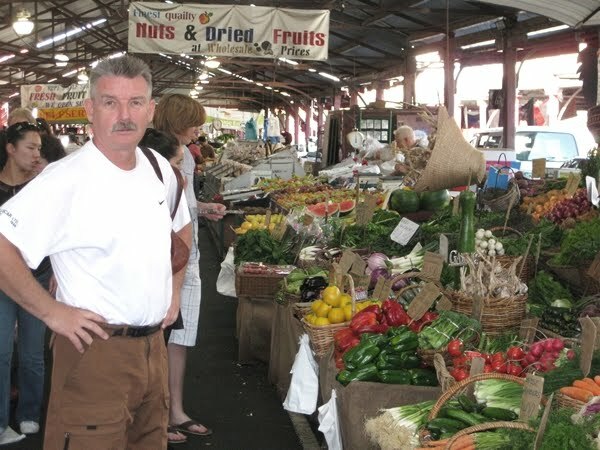 such as almonds, olives, passion fruit, pomegranates, quandong, apples, oranges, lemons and limes. South Australians also live either in or adjacent to a world class wine area. A common past time is to go for a drive on the weekend to sample local wines at the numerous cellar doors or partake in an eclectic meal at a local eatery. Hence, through osmosis, they have become very educated about their wines and foods. Based on our social calendar, we have come to realize that South Australians also like to drink a lot of wine. It seems like every time we visit someone, a bottle of vino, and in particular a bottle of South Australian wine is being opened, and snacks of cheese, crackers, olives or other nibbles appear. Given this prelude and generalization with respect to life in South Australia, we suggest that you forget that an exchange is all about travel and testing your vast array of professional skills. Rather concentrate on the foods that you will discover as they alight on your palate and tantalize your taste buds. For starters, how about an appetizer of dukkah - balsamic glaze and Turkish loaf of bread accompanied with a bottle of Barossa Valley shiraz? Bread fresh out of the oven is dipped into a glaze and then coated with dukkah; which is a wonderful blend of nuts and spices. What a beautiful flavour! Dukkah is typically made of crushed toasted almonds and pistachios mixed with a variety of spices and sesame seed. This is the recipe that we enjoy and was designed by googling “dukkah” and tweaking; but don’t hesitate to experiment with your own concoction of herbs and spices. Using either a rolling pin or mortar and pestle crush the nuts to a finely ground powder but leave a few chunkier pieces. Mix the herbs and spices with the ground nuts. Place the concoction on a pie plate or similar flat dish to toast for about 20 minutes at 200 F. Of course, this appetizer is not complete without the balsamic glaze. Take 1 cup castor sugar, 1 cup balsamic vinegar with 2 cups of chicken stock, place over high heat and reduce until the glaze is thick and syrupy. And for the “piece de resistance”, simply uncork a fine bottle of red and let the visiting and conversation with friends begin! For the main course, we suggest that you serve Australian Leg of Lamb; with another bottle of the red magic elixir! 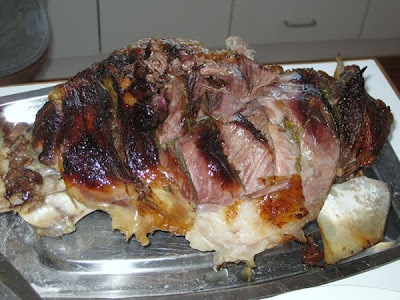 When Australians hear that you’ve never eaten a leg of lamb roast they’ll either walk away wondering what’s wrong with you or invite you for Sunday lunch. Luckily for us it was the latter! Our first leg of lamb roast was a knee buckler. The meat melted in our mouth as we savored the rich dark gravy and zesty mint sauce. The lamb was accompanied with roasted potatoes and garden-fresh vegetables. Our host thought it rather amusing that we were taking pictures of her roast! You can be assured that one of the vegetables served with lamb roast in Australia will be pumpkin. Australians are big on pumpkin. We have had it roasted, in soups, in ravioli, in muffins, as well as cold in a sassy pumpkin - spinach salad that is topped with pine nuts in a honey – olive oil dressing! Why don’t Canadians eat pumpkin on a more regular basis, rather than just at Halloween? Aussies cringe when we tell them that pumpkin is usually served from a can and used as the primary ingredient for pumpkin pie. After our experience living in South Australia, we can state with confidence that carving the Jack o’ Lantern has robbed the pumpkin of the culinary respect it deserves. One of our true joys of living in a small town in South Australia is the regular visits to the local butcher. When we told him about our feast of Roast Lamb; he immediately gave us, free of charge, six lamb shanks to try. Yes, you read that last sentence correctly; it was free of charge! Lamb shanks are the elbow and knee joints of the lamb. They need to be slow cooked for four to five hours to capture their full flavourful essence. My mouth is watering now as I recollect that first lamb shank meal. Lamb shanks can be cooked in a number of ways, such as braising, roasting or in casseroles. When we visited Leon, another friend, we were introduced to lamb shank soup, accompanied with another bottle of South Australia red of course! Are you sensing there is a common theme here when you get together to dine with South Australians? Although the appearance of a knee bone served in individual soup bowls can appear daunting, the initial sip of the broth will prove to be divine. The soup was dubbed “Leon’s Come What May Soup” because he really doesn’t have a recipe. The lamb shanks are allowed to simmer all day in a rich soupy broth of grated or chunks of vegetables, rice, barley or noodles or a combination of them all. What goes into the soup is dependent upon what is left over as Leon clears out his fridge. I doubt if he could replicate the soup twice because he makes it up as he goes along – hence the name! However, a bowl of it is to die for! For dessert, don’t be surprised if you are served something light, fluffy and not stuffy! A bowl of sliced bananas bathed in banana-flavoured custard sprinkled with dark chocolate slivers on top will do the trick. 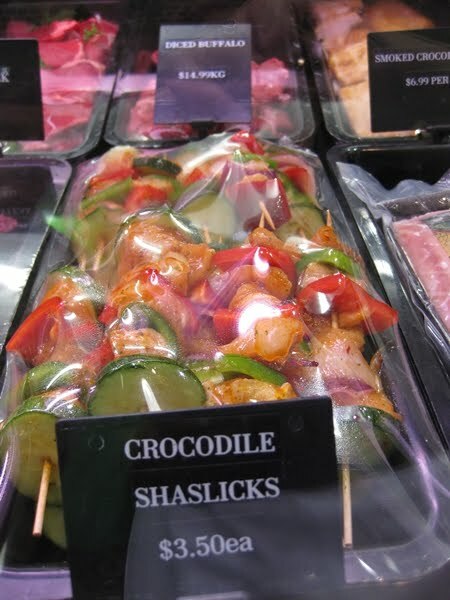 Of course it must be served with a bottle of chilled Botrytis Semillon. This dessert wine is very similar in taste and flavour to our Canadian Ice Wines. With plenty of unusual foods to try! As we make our way back to Canada, we already know which “ATE” category will define our year of living and working abroad. No, it will not be “SeparATE” because the mirth and merriment we are having during this year of adventure has brought our relationship closer together. If you are curious what our year on exchange has been like, go to our blog (RickandGail.blogspot.com). We have created this site for the entertainment of our family and friends in both Canada and Australia.